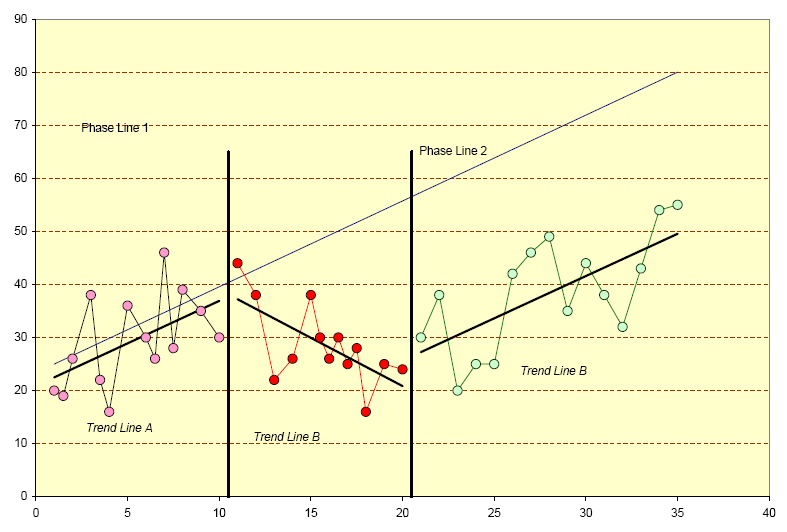 This is a relatively simple, not particularly flexible, multi-phase progress monitoring chart modelled after the one found in Currciulum-Based Measurement, Assessing Special Children (1995) Edited by Mark Shinn. The file allows the user to generate random data according to specifications of rand() function in conjunction with the standard OLS equation y=mx+b+E to simulate any pattern of response that you want to simulate. This template is intended to be used for instructional purposes. All of the formulas are open for inspection. 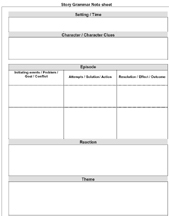 Frequently requested; this form was originally created by Kathy Jungjohann at the University of Oregon. The current form is an adaptation of Kathy's work.